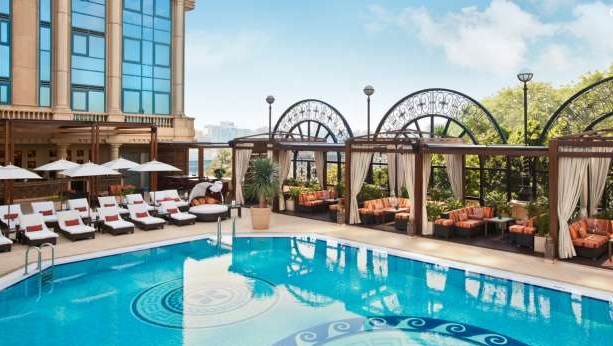 There is a lot of action on the hotel scene in the capital of Egypt these days, with major international brands either opening or prepping new properties. 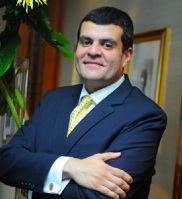 There is a transformation underway at Four Seasons Hotel Cairo at The First Residence as well, and the General Manager is integral to the effort. “We are repositioning ourselves as the boutique product in the heart of the city,” says Mahmoud El Keiy, who was appointed in spring 2014. ElKeiy traces his fondness for the hotel business to his days when he earned a General certificate of education through Cambridge University, who then graduated from Faculty of Tourism & Hotels with a BA in Hotel Management. Faced with nine months of downtime between studies – “I did not like the idea of having nothing to do” – he secured a trainee-level position at a 1,000-room hotel. The attraction was instantaneous despite the lack of pay. “The day I started, I told a friend, ‘One day, you’ll see me managing a hotel. Unlike many in his position, ElKeiy worked his way up in sales. The transition from marketing was “not easy” he says: “It took a lot of long hours for me to adapt.” His background still pays dividends in the form of business from contacts he developed in the Gulf Cooperation Council (GCC) area and North and South America through the course of his sales career. I started working when I was 16 years old, I visited a lot of hotels with my family. I became very passionate about the hospitality industry ever since I was a student at Cambridge University. I worked in almost every division you can find in a hotel, from Kitchen and rooms to PPX and Sales. Luckily, emerging businesses are coming from The United States and Latin America, at the same time, they are not affected by the safety and security in our market. As for the other trends affecting our market is definitely how people make reservations nowadays unlike before when it was just one to one meetings. For example: 70% of the bookings made by the GCC markets are now online as opposed to what it was before. Any industry opportunity or challenges? Challenges: Airline accessibility has been a great challenge in our market, since international carriers have stopped operation due to the travel ban imposed in some countries to our country. Also, the new VISA requirements that have been imposed to many nationalities. Opportunities: Fortunately, there are forthcoming opportunities that we are excited about, like The opening of the Grand Egyptian Museum that will commence as of next year which will be the biggest Museum to feature artifacts of one civilization, not to mention that our country is heading towards a more political stability and economic growth, and more and more countries are removing the travel ban to our country. Inspiration for the business idea and your vision for the business? For us, we focus on what we call our “Boutique” which is our medium sized luxury hotel offering the best quality we can ever provide to an in house or an outside guest. Furthermore, we are inspired by our Golden rule which is “Treat others how you like to be treated”, we make sure to treat our guests with care and provide them with attention. The rule does not apply only to our guests, we also make sure to treat our employees with love, care and affection. We are having big plans in the near future! We will launch a F&B Boat (stationary) docked outside the hotel on the Nile, opening 3 outlets, An Asian restaurant, a Brazilian one and an Egyptian lounge and 2 Banquet rooms which we are really excited about. What are your key initiatives for the success of the business? To maintain an open, transparent relationship with our employees and by applying the Golden rule and to treat our employees with the outmost respect. The ideal experience we can provide to our guests, is to ensure repeated visits after their first one. More importantly, what we do to ensure that, is that we apply our other method which is “WOW me If you can” in other words, to always try and exceed expectations of our guests by learning their preferences and needs to make them feel special and that we are providing them with the best experience they can think of. I always try to be a part of the action, I recognize the efforts that are done by others. No matter who, I will go directly to any member of our hotel and thank them personally for their efforts. What is your most difficult moment in the business and what did you learn? I believe that my team and I are a business/working family. The most difficult experience is seeing anyone of my team going through a tough time and not being able to help them at the same time. As for what I learned from the business is to always keep an open mind, listen to others, always expect the unexpected, always say the truth, keep a positive spirit and to always remember that you are looked at and observed by your team for guidance to lead the way. Any career advice to those in your industry? To always stay focused and that the best advice anyone can give is to themselves, so always go with your passion and drive and do not listen to anyone who tells you, no or that you can’t do it. Do what you do and love best.